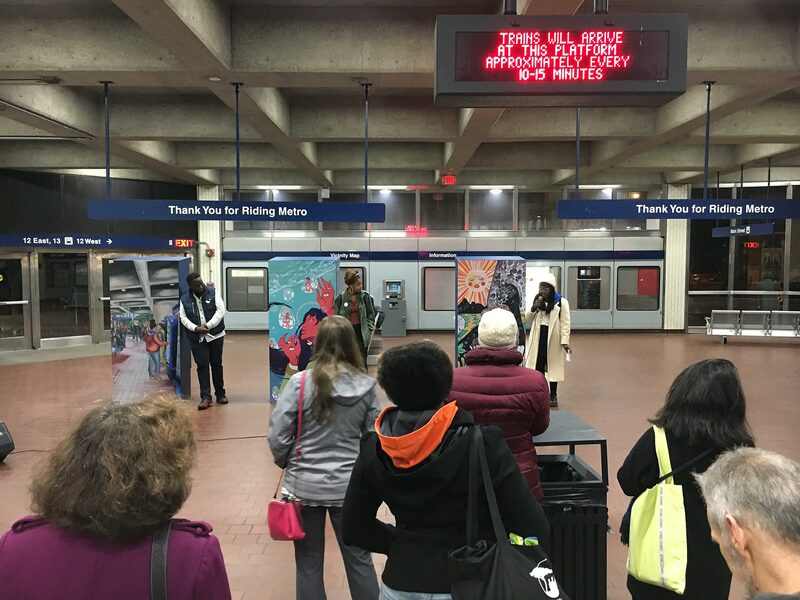 Your Utica Station is an art-in-transit project organized by El Museo. 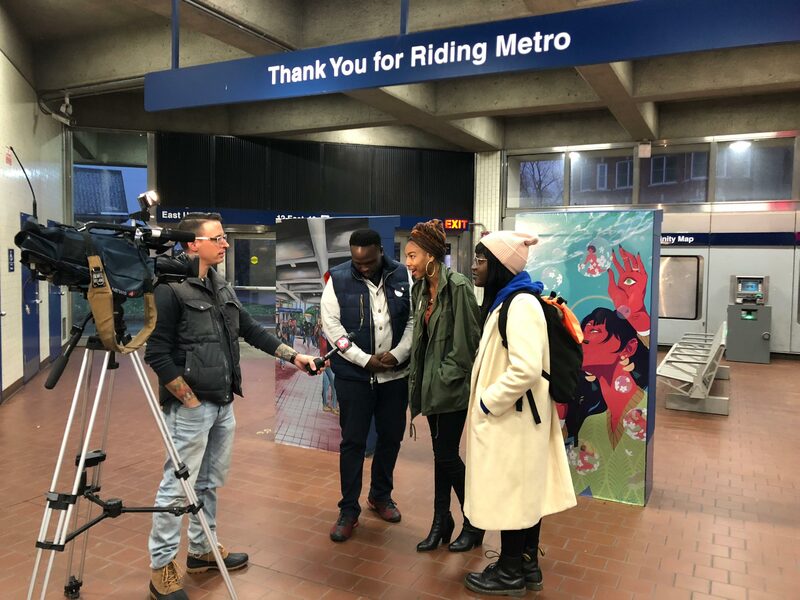 Taking place at the NFTA Utica Metro Rail Station in Buffalo, the project features commissioned artwork by four local artists, Obsidian Bellis, Bleu-Ruby Daniels-Taylor, Tyshaun Tyson, and Imani Williamson, who reflected on their experiences growing up and using public transportation in Buffalo. 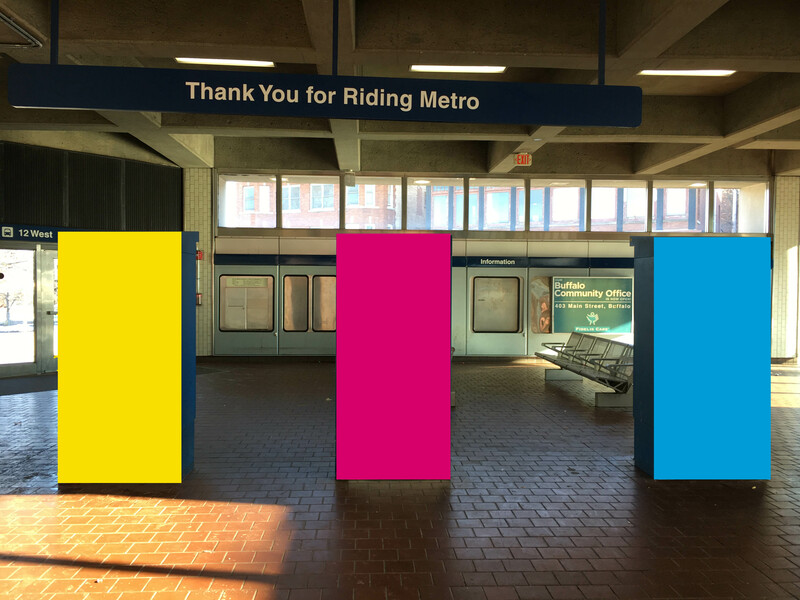 The works are installed in ad spaces in the station, on the backs of ticket vending machines and in wall dioramas, and are on view November–December 2018. Utica Station is located at 1375 Main Street, and is easily accessible by Metro Rail or Metro Bus Routes 12 and 13. For more information, see our press release or contact bryan@elmuseobuffalo.org. Tyshaun Tyson is an independent artist from Buffalo who works across traditional and urban art. He also goes by the name “The Left-Handed Bandit,” a childhood nickname, and he uses his left hand to transform a wide variety of canvases and textures into works of art using drawing, airbrushing, painting, photography, and more. He received a BA in Art from Buffalo State College in 2013, and founded his business, The Left-Handed Bandit Artistic Services in 2015. 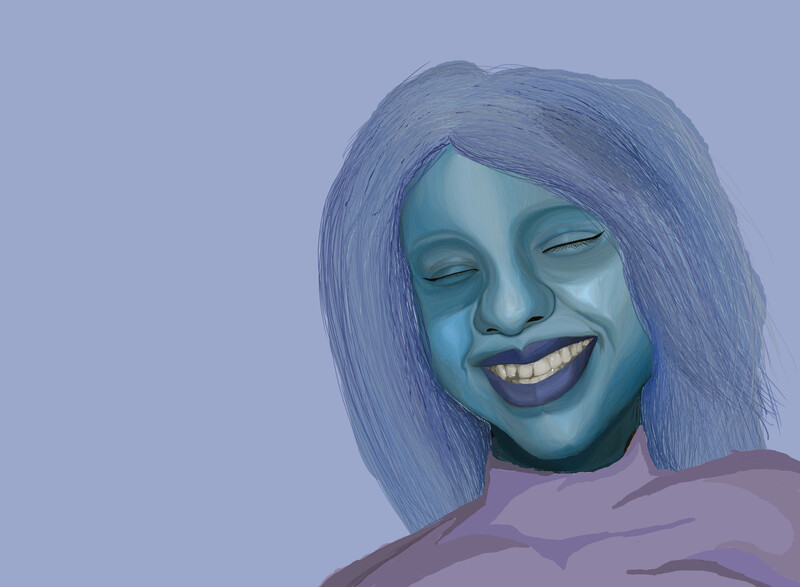 Imani Williamson is an artist based in Buffalo. She uses vibrant colors in traditional and digital media to explore techniques and apply them to the human form. She is inspired by spirituality and human thought, themes which manifest in her work in the form of halos, third eyes, and other spiritual elements. She is currently studying illustration at Daemen College. 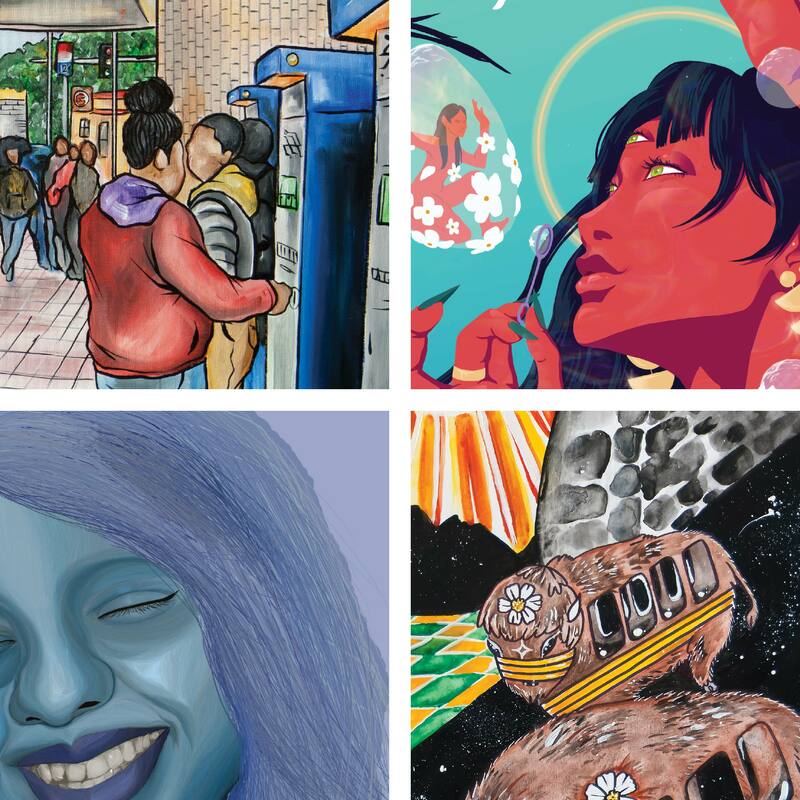 Obsidian Bellis is a black femme illustrator and craftsperson who was born and raised in Buffalo. They use traditional mediums and found objects to create visuals that evoke the mysticism, light, and darkness of navigating society as black and womxn. Common themes and inspiration in their work are fantasy, nature, celestial bodies, subculture, and body modification. Bleu-Ruby Daniels-Taylor, also known as user-212521, also known as ugLy k1d, is nineteen. She currently attends Sarah Lawrence College where she is studying art and writing. She prides herself on being a writer and is currently working on an experimental novel. Along with writing, she also is a sound artist. In her spare time she enjoys creating digital portraits, welding, web design, making short films, and taking self portraits. 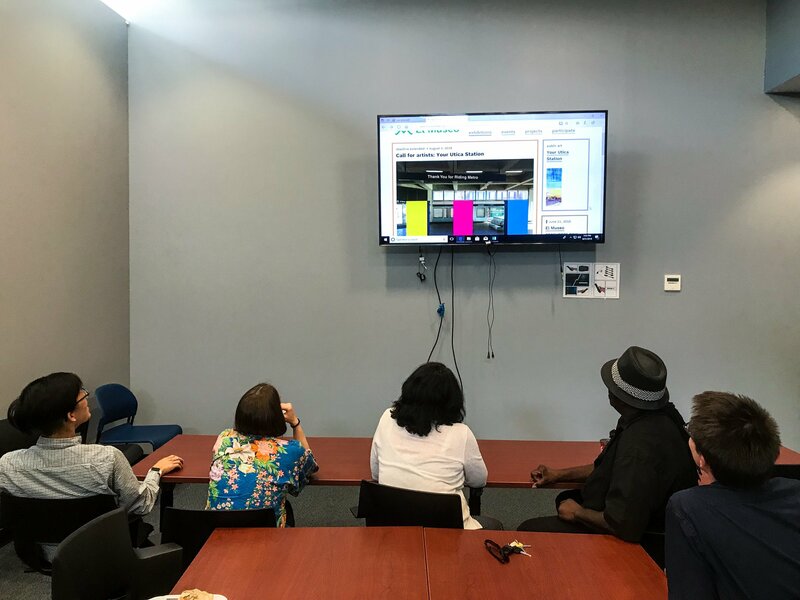 Your Utica Station is funded in part by BNMC Spark, a micro-grant program of the Buffalo Niagara Medical Campus, Inc. (BNMC), with additional support from the Niagara Frontier Transportation Authority and Lamar Advertising. Special thanks to the artist selection panel: John Baker, Helen Tederous, and Rebecca Wing. “Your Utica Station” informational brochure prepared by NFTA Public Relations Department, 1985.